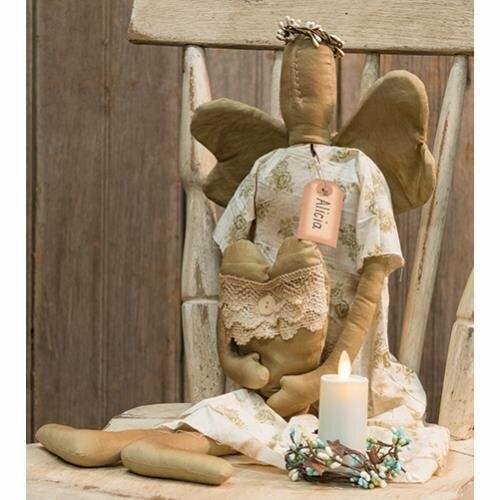 Alicia Angel is a stuffed fabric doll with a vintage, aged appearance. She has rosy cheeks, and she is wearing a pip ring halo and vintage floral dress. In her arms she holds a heart with lace and button details. Her name tag is pinned to her dress with a rusty safety pin. Measures 14" tall when seated and 25" tall overall.